Thank you for your inquiry. 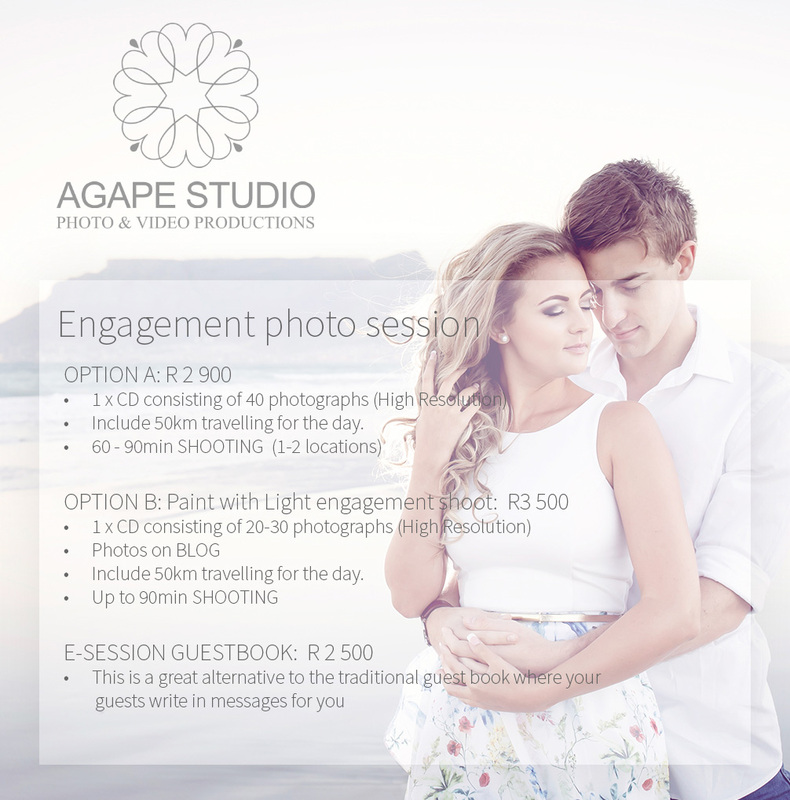 You will see a summary of the different photography and cinematography options we have available for your wedding. 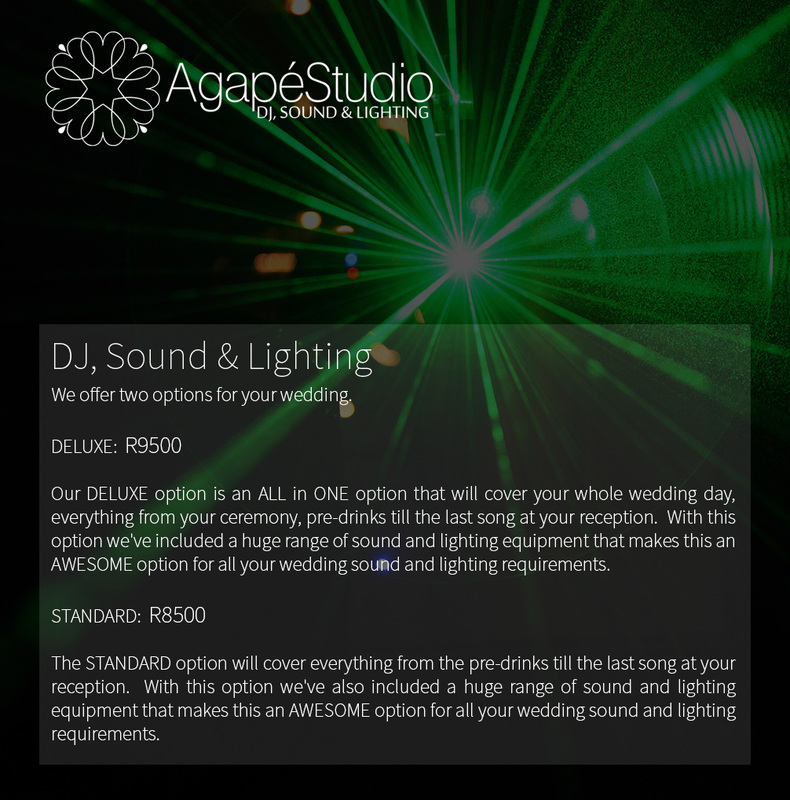 We would LOVE to be involved in your special day. 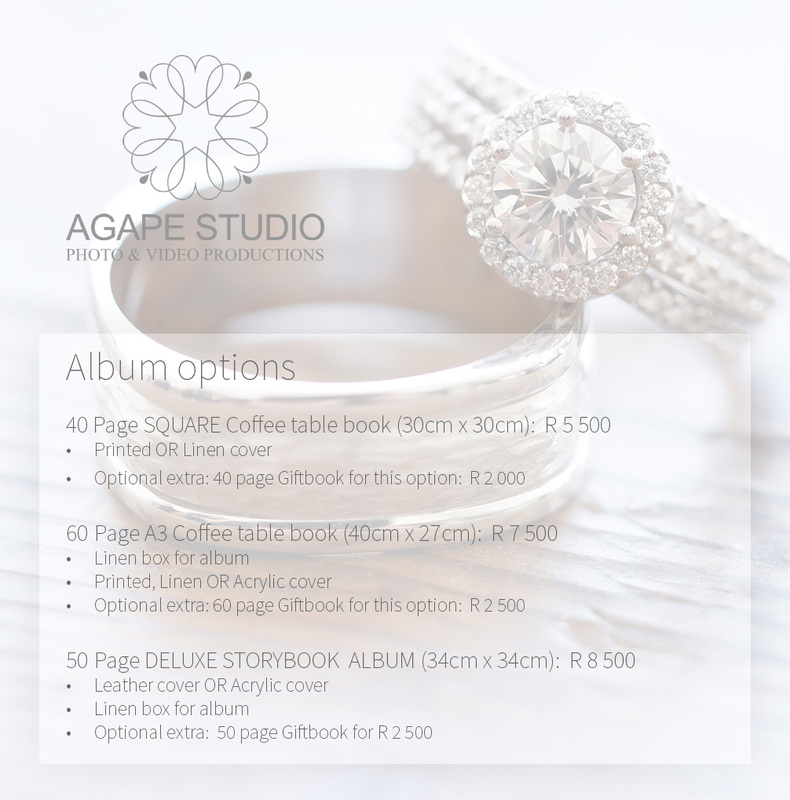 Agapé Studio is a premium wedding photography and cinematography company based in Durbanville, Cape Town. We are available for destination weddings. Being a wedding photographer / cinematographer is such an awesome privilege because we get to spend time with amazing people at the most beautiful places on their most important days. Couples love our work because of the way we manage to incorporate intimate, romantic poses with the natural beauty of the landscape. 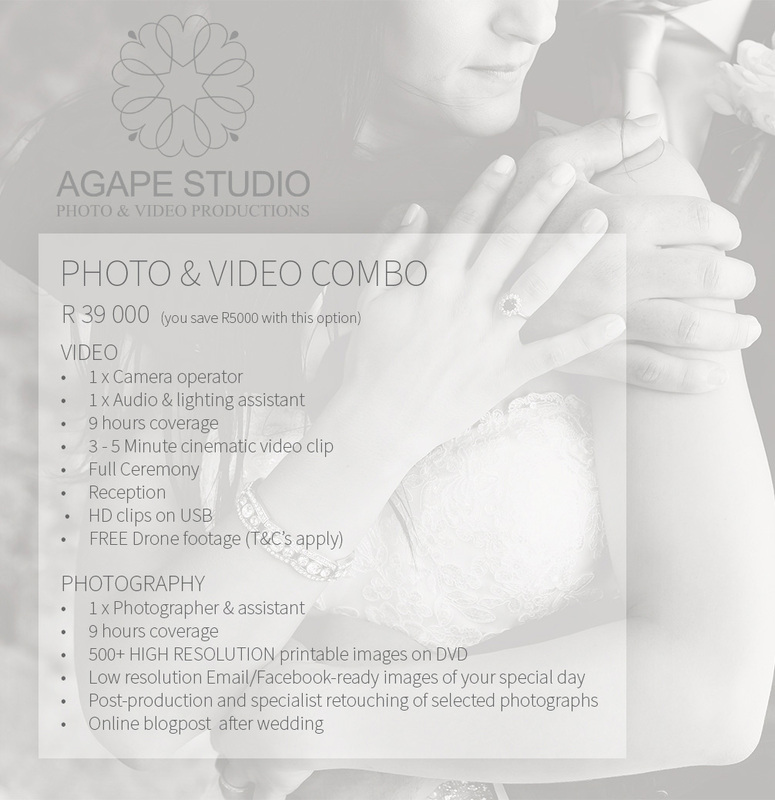 If we have to describe our photography / cinematography style in 3 words, it will have to be CREATIVE, ROMANTIC & STYLISH. 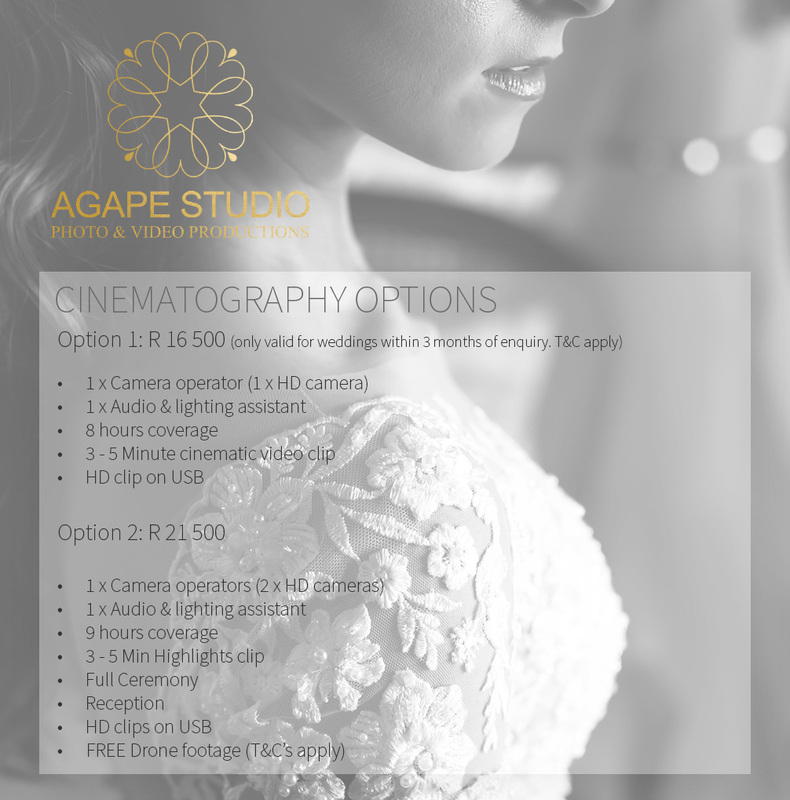 Why choose Agapé Studio? Well, the answer is simple. We are a husband and wife team who not only have the necessary experience of more than 16 years combined and 400+ weddings, but we stay up to date with the latest trends and we make sure we provide you with creative, romantic and stylish images & film. We are proud to say that we put in a lot of effort into our communication and admin to assist you in your wedding day to make sure you have the best day ever. 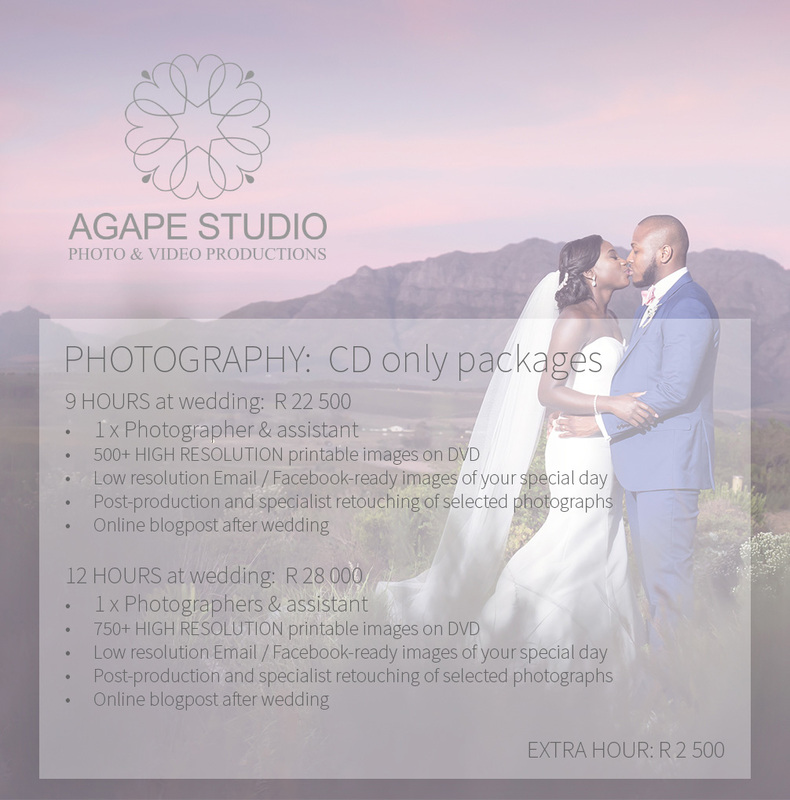 Booking us to photograph and film your wedding day will be the best decision you make for your wedding. We work with the same vision and goal to make sure we capture all the moments and memories for you to treasure and enjoy forever. If you want to view more VIDEO HIGHLIGHTS from some recent weddings, please click HERE.